1. Get-a-Results-Activator-Coach | The ReThink Success Mindset Activator! Get Yourself a Success Ensurance Results Activator Coach – Almost Free. Most successful people have used the services of a coach. Why? To ENSURE accountability and Success. Why get Yourself an Action ADVantage Success Ensurance Results Activator Coach? Until Now…Coaching was THE MOST POWERFUL process you can embark on if you are ready to truly take responsibility for improving the results in your life. If you are serious about SUCCESS, a Results Activator will ENSURE you get there faster. The old problem of coaching used to be … the COST and process! Life or Business coaching typically costs anything from R800/ hour to R15,000 per month! I know because my clients pay anything from R2200 per hour to R120,000 for a day to ENSURE their success. Our Action Advantage Results Activation system – can ENSURE your success. 3. You setup a (CTC) Consequence Timeline Compression to support you taking full powered incremental action towards your dreams and goals. Through the Results Beyond Reasons Success Ensurance System you can get access to a Results Activator at a fraction of the usual cost of a coach. Why is Results Beyond Reasons such a hot process for ensuring success? Anybody serious about success knows the power of a coach to get you committed to your dreams… Results Activators go to the next level in ensure you take action with your incremental daily steps towards “success”. 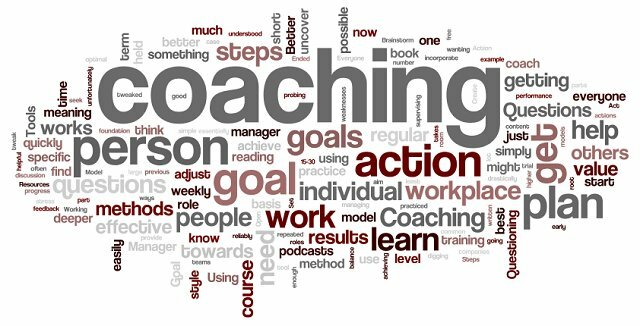 Research and info from Forbes Magazine to Futurist point out that coaching is one of the fastest growing professions in the world. Coaching skills are projected to become one of the key skills required of workers to THRIVE in the 21st Century. Currently, there are over 90,000 jobs openings from engineers to chefs who are expected to posses coaching skills. Why Results Activators and Coaching Skills required now…? Technological progress has eliminated many farming and manufacturing jobs. Today many employees in the West are paid to think, instead of to farm, or make things. Globalization has and is sending many “thinking jobs” over seas. SMART Workers are scrambling to find which skills will give them both freedom and job security. To top this “Google” has made it possible for anyone to find out almost anything they want to know within seconds. Now people already have the information and they need help choosing what to do with it. Results Activators ENSURE your SUCCESS..
As a result of these profound and rapid ongoing changes, people are evolving faster than ever. Their values and goals are changing, as well. This is disorienting and people need help navigating their rapid transformation. Some opportunities are disappearing, and many new ones are becoming available daily. Possibilities have increased. Choices have become overwhelming. BUT interactions are often quick and shallow. We all long for meaningful conversations and real authentic relationships. People today have higher education and higher standards. Reality – People want and need to know how to create careers and lives they really want. This is your opportunity to ENSURE SUCCESS on all 3 levels of creating a brighter future. If you are committed to creating the initial SPARK, growing into your FLAME, and then building the FIRE, and then the fueling the FURNACE of inspiration and Action, and that sustains and ensures success – please let us know. Let us know if you are committed to taking your success to the next level…. Subscribe for first mover involvement.